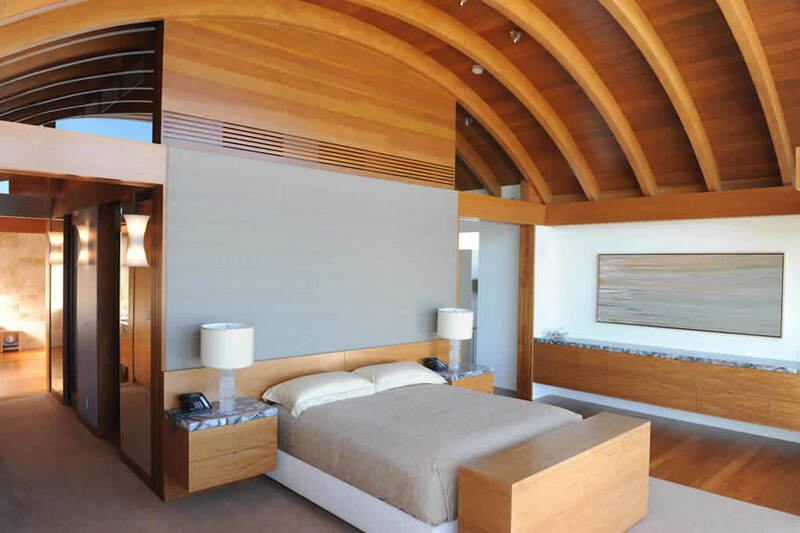 A beach house in Malibu was executed by Safdie Rabines Architects with a series of thin, elegant Tetraleaf teak veneered arches and columns that parallel the beach and mountains. Hidden connections between column and beam echo the modern shipwright esthetic. Originally conceived in Douglas fir, which will orange out as it ages, the move to teak sought to capture and maintain the warm, caramel tones of the balance of the project. The result is a soothing, cool transition from the hot, bright beach light. Timber frame was assembled in our shop, disassembled and shipped to jobsite for installation.